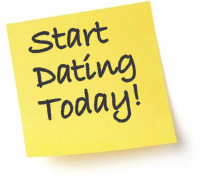 So now you’ve met someone you like via LargerDate.co.uk and it’s time to take the next step and meet up in person. First thing's first – your security is paramount and shouldn’t be taken for granted. Always meet in a public place and make sure you tell someone where you’re going to meet. Turn up late. It’s not a good start and you’ll only end up arriving feeling flustered. Forget to dress appropriately. Aim for smart casual. Gentlemen, leave your tracksuits at home and ladies, smart and sassy is great but don’t go for too low cut or too short. Remember, you want to create the right impression. Answer your mobile phone on a first date. It’s rude. Expect too much from a first date. There won’t necessarily be fireworks in the sky as your eyes meet. Some of the best relationships are slow burners so give yourselves a chance. Consider a telephone conversation with your date prior to meeting. This will help break the ice and make for a more comfortable first date. Make an effort with your appearance so your date sees you in the best possible light. Choose a venue that is neutral to both of you and not somewhere attached to a story involving your ex or your local pub where you will end up bumping into several people you know. This will kill the mood. The date should be about two new people getting to know one another. Have good eye contact and greet your date with an open smile. This winning combo will calm both your nerves. Listen to what your date is saying and give them a chance to speak. Ask questions about their interests and find common ground. Have an open mind even if at first glance your date is not what you expected. MOST IMPORTANTLY - ENJOY YOURSELF! !